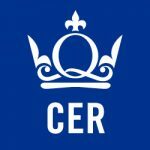 Organised by the Centre for European Research (CER), Queen Mary University of London in cooperation with the University of London Institute in Paris. Supported by a UACES Small Event Grant (learn more and apply). 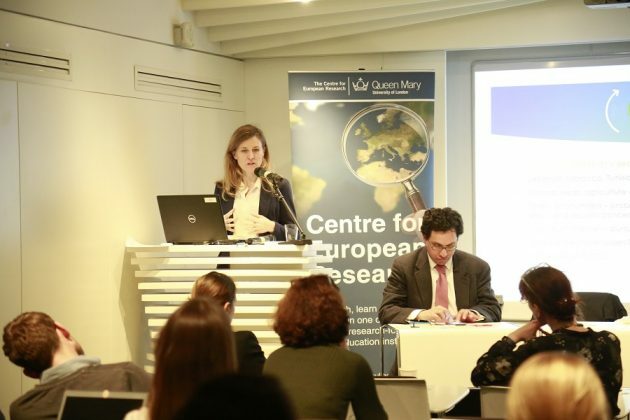 The rationale behind this workshop has aroused from the observation made by several scholars that, in spite of the creation of the European External Action Service, events such as the Arab uprisings or the crisis in Ukraine have exposed the systematic failures of European and EU foreign policies. In a world that is increasingly religious, where universal norms are being contested by illiberal powers, many agree that there is a need for self-reflection and to critically review EU foreign policy. Academics and policy communities have in recent years pointed to the lack of attention of European diplomats and EU external relations policy-makers to the vulnerable, socio-economic inequalities, the gap between centres and peripheries, as well as to the lack of prospects for the youth.In a way, these assertions resonate with several recent attempts to propose a decentred agenda for the study and practice of the EU’s actorness in international relations (Fisher Onar and Nicolaïdis 2013; Keukeleire and Lecocq 2018), and foster further debate on Eurocentrism, including on the EU’s practices of geopolitical othering that orientalises other parts of the world (see Said, 1978; Spivak, 1988; Chakrabarty, 2000). As such, decentring aims at overcoming the continued prevalence of territorial imagery in European policy-making (Diez, 1996), the exclusionary practices exercised along the EU’s borders as well as internally (van Houtum and Boedeltje, 2009; van Houtum and Pijpers, 2007), and, accordingly, the widespread ‘violent’ practices applied in the formation of bounded identities (Ashley, 1988). Bar a few exceptions, such questions, formulated in the framework of critical social science theories, have barely entered the realm of European Studies so far (see Borg and Diez, 2016). 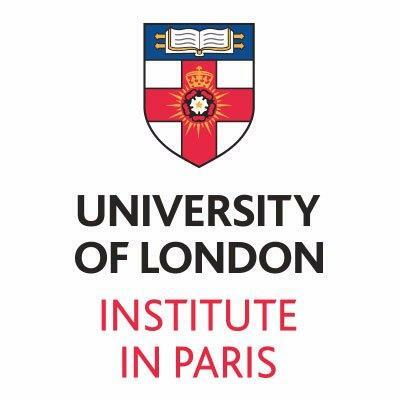 In light of this, this research seminar, held at the University of London Institute in Paris (ULIP), has departed from prevailing conceptualisations of European foreign policy and offered a cross-disciplinary insight on EU foreign policy, and a debate on methodologies and on how to operationalise novel, decentred analytical perspectives for EU foreign policy. 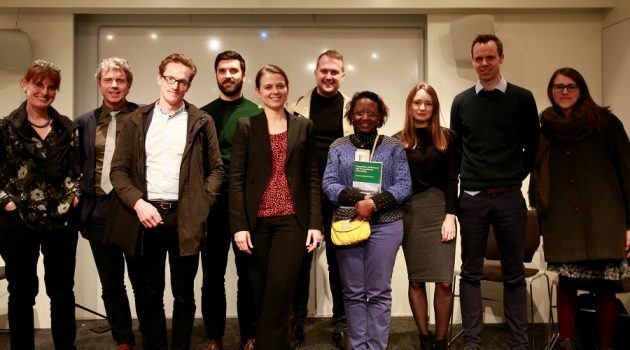 It engaged both young and senior scholars as well as professionals from the field of diplomacy in a fruitful discussion on the place, role and possibilities of a decentred EU in world politics. The seminar was seen as the first step in a collective effort to finetune a detailed decentring approach that will benefit both the academia and policy-makers, and result in a collection of special issue articles published in an academic journal (several participants have already expressed their interest). The seminar consisted of two discussion panels, a round of four thematic ateliers, and was concluded by a keynote speech panel. The first discussion panel titled A Decentering Agenda on European Foreign Policy Studies: What’s New? included presentations by Stephan Keukeleire and Sharon Lecocq (University of Leuven), Kolja Raube (University of Leuven), Sarah Wolff (CER / QMUL) and William Kutz (Cambridge University), with Christian Lequesne (Sciences Po Paris) acting as discussant. The second discussion panel, Methods and Practice in Decentring European Foreign Policy, included presentations by Magali Gravier (Copenhagen Business School), Christian Lequesne (Sciences Po Paris), Alexandre Escorcia (Ministry of Foreign Affairs, France) and Daniela Huber (International Affairs Institution, Italy), with Stephan Keukeleire (University of Leuven) acting as discussant. 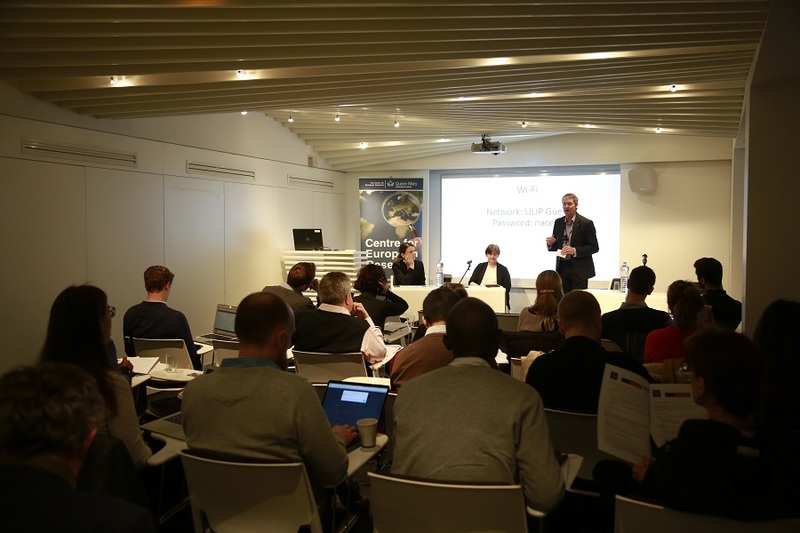 The four thematic ateliers running simultaneously focused on the following themes: Class, gender & peripheries, Migration & borders, Religion & secularism, Democracy promotion & the rule of law, and involved 24 participants from across Europe. These ateliers provided space for brainstorming and innovative in-depth exchanges on key themes of EU foreign policy and external relations. The ateliers were followed by a collective presentation and discussion of the conclusions reached in the ateliers. Finally, the keynote speech was delivered by Kimberly Hutchings (Queen Mary University of London) on Europe and the ‘Pluriverse’: A Global Ethical Approach to Cultural Pluralism. It was discussed by Peter Brett (QMUL) and Stephan Keukeleire thus engaging in a cross-disciplinary debate about Europe, ethics and the world. 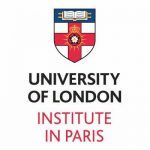 We are most grateful for the generous financial support of the School of Politics and International Relations, Queen Mary University of London as well as a UACES Small Event Grant, and the support of the University of London Institute in Paris. You can follow the Centre for European Research (CER) on Facebook and Twitter, and by subscribing to the CER newsletter. Supported by a UACES Small Event Grant (learn more and apply).